Maxim's Symphony Collection includes this four light bathroom fixture with an oil-rubbed bronze finish. Featuring a highly detailed, oil-rubbed bronze finish and a striking pattern softly etched on its pale amber glass, Maxim's four light fixture from the Symphony Collection has an antique look and a classic style. Mounts with glass up or down. 37" wide x 8 1/2" high. Extends 10" from wall. Symphony 4-light bathroom light fixture by Maxim. Oil-rubbed bronze finish. Pale amber glass. Got bored shopping and just chose it. Single guy, y'know. how wide is this and how long? BEST ANSWER: It is 37" wide and 8 1/2" high. The design extends 10" from wall. "Light is bright and all is in sight"
[...] Our contractor had no trouble installing them, and they illuminate the room beautifully. The light is the primary light in our bathroom. It was easy to install and it looks great. I would definitely purchase from this company again. 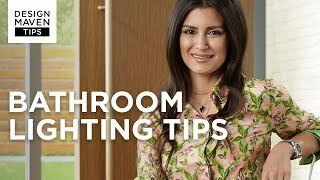 I have warm colors in my bathroom and this lighting fixture was the perfect compliment. Looks stunning with my beach cottage style! Great amount of watts used which was my most important requirement due to the only light in the bathroom. I preferred the fixture turned down to provide the best light, but it did make it bright until we got used to it. Compliments my other decor and color scheme. The sconces changed the tint of my bathroom wall color, but still very warm colors and works well. Nothing but compliments from friends and family. 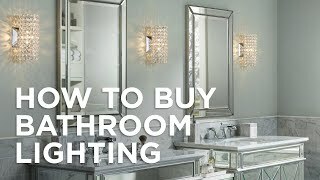 We could not find the kind of lighting we wanted for our bathroom remodel in any of the local stores! This light set was perfect for the space we had and it lights the whole mirror over the double sink. The finish matches our new fixtures and it has a casual, neat, clean styling. We love it! My husband did the installation with no problems. Everyone that has seen, loves it! this light fixture is absolutely beautiful ! there is not anything i don't like about it. it was exactly what i was looking for. it was not difficult to install, gives off plenty of light,quality merchandise. Highly recommend this product. Using this fixture over kitchen sink in a rustic log cabin in Alaska. It looks great and gives excellent task lighting. It updated the bathroom and added an elegant look. Contoured etched opal glass diffusers glow warmly on the Brooke bath light. Two etched opal glass lights and a brushed nickel finish add shine to this bathroom light.